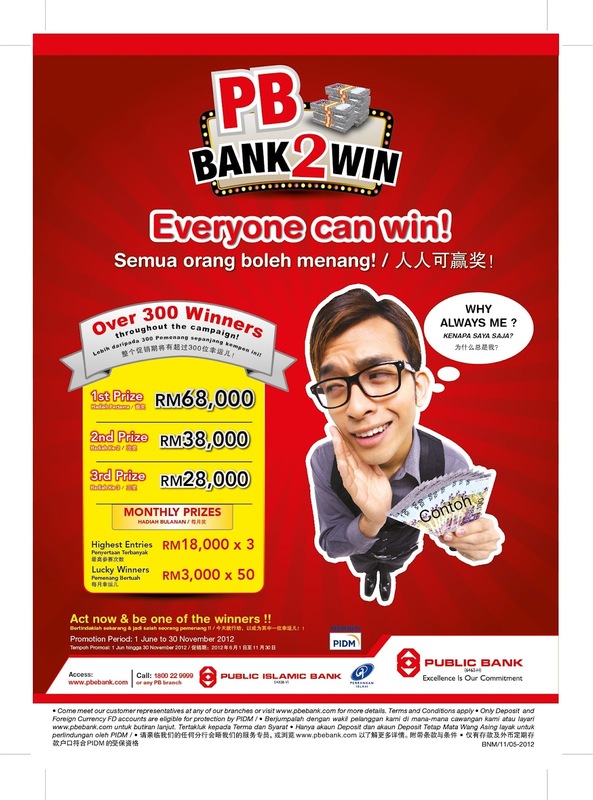 Public Bank will be launching a 'PB Bank2Win' Campaign which offers attractive cash prizes totalling more than RM1.3 million to customers of Loan or Financing, Deposit and Wealth Management products. HOW to win ? ? ? 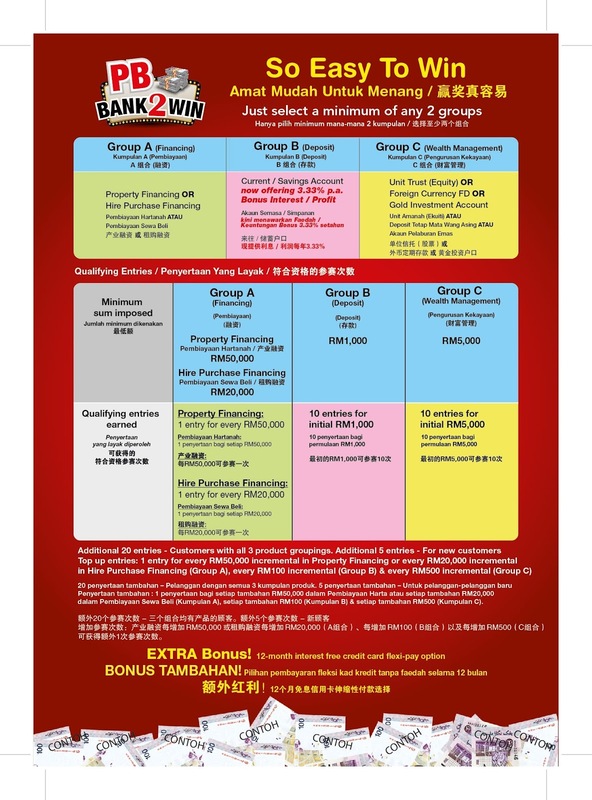 You're required to have at least a bundle of 2 different products within the same month, to qualify for the campaign. The more bundle you have, the higher chances you will win. The bigger the amount, the more entries you will entitle. Good luck guys. 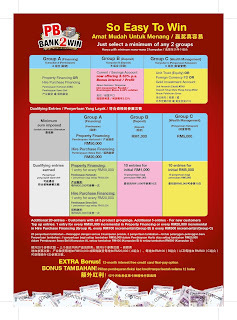 Go to your nearest Public Bank for more details.